An almost entirely Anglophone group of films this time around, although one of them isn’t actually Anglophone as it takes place in Zambia and the dialogue is almost entirely in Chichewa (a member of the Bantu language family)… but the director emigrated to the UK when she was nine and the film was mostly funded by UK film production companies, so I’ve marked it as a British film. 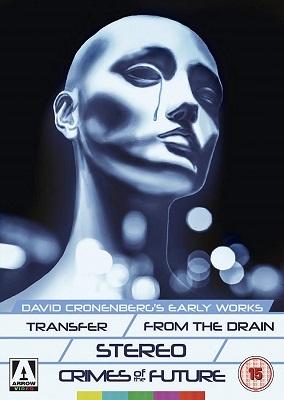 Transfer, From the Drain, Stereo, Crimes of the Future, David Cronenberg (1966 – 1970, Canada) The four films in this box set were originally included as extra features on the special edition release of Videodrome, but have since been released as David Cronenberg’s Early Works. I am not an especially big fan of Cronenberg’s works – I’ll happily watch them, and some of them I think are very good – but I’m not the sort to track down all his films, especially the ones that are hard to find, and buy them… although if they’re readily available, I’ll happily stick them on my rental list. I knew that Cronenberg’s first film was Shivers, followed by Rabid, which I’ve seen (see here), although I first came across his work when I watched Scanners some time back in the 1980s. The four films here, two of which are technically feature films as they’re over 40 minutes in length, predate Shivers, but since Cronenberg’s career is generally considered to have started with Shivers… Transfer has a psychiatrist and his patient sitting at a table in a snowy field and, to be honest, it’s a curiosity in the director’s oeuvre. Perhaps there are hints of the themes Cronenberg explores throughout his career, but it’s also one of those portentous films made by students who don’t realising they’re both re-inventing the wheel and producing something that isn’t round in shape. 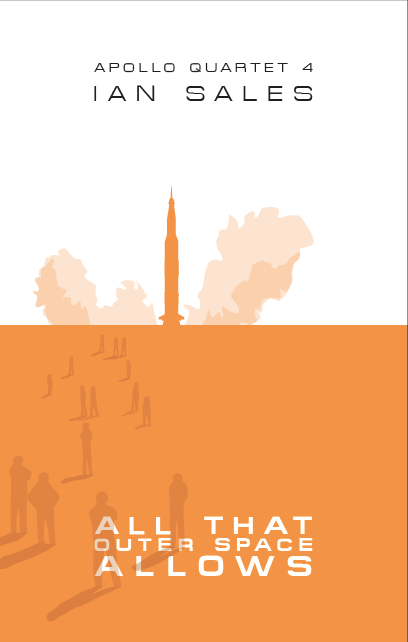 The same is true of From the Drain, which also features two characters in conversation, in this case, veterans of some future war. One for fans. But then there’s Stereo, which is worth the price of admission alone. It’s the usual student over-emphatic nonsense, ostensibly about an experiment to boost telepathic powers, as far as the script is concerned – or rather, voice-over, as apparently no sound was recorded as the Bolex camera too noisy. However, it was filmed entirely on the Scarborough campus of the University of Toronto and features some wonderful Brutalist and Modernist architecture, made all the more visually appealing for having been filmed in black and white. Crimes of the Future treads similar ground – thematically and literally, since it’s also filmed in Scarborough – but it also harkens back to those earlier films, albeit using voiceover again, and tried to be clever with its dialogue. 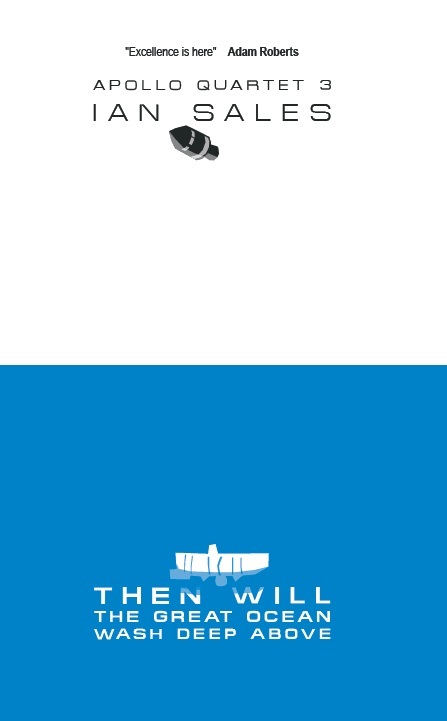 Stereo is a little gem, a great piece of black and white Brutalism. The earlier two films feel like ingredients that fed into it; and the last film seems like a failed attempt to remake it. They’re for fans of Cronenberg, obviously, but I’m glad I watched them. 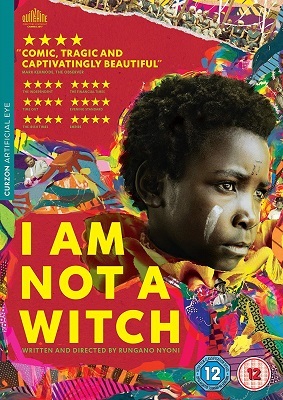 I am not a Witch, Rungano Nyoni (2017, UK). As mentioned above, this film is set in Zambia, using a local cast, with dialogue mostly in Chichewa, but the director moved to Wales when she was nine, and the film has been mostly funded by UK production companies. But really, it’s Zambian in all but its funding. It’s Nyoni’s first feature film too, although two of her earlier short films are also included on the disc – Mwansa the Great and Listen. A young girl is accused of being a witch and taken away to a camp where witches are imprisoned. The women there are loaned to local business as manual labour. Each one is attached to a long ribbon on a large bobbin. They cannot remove the ribbon, or they are punished. The girl proves to have a talent for spotting wrongdoers. When presented with a line-up of suspects for a crime, she can pick out the guilty one. This makes her useful to the bureaucrat responsible for the witches’ camp, and he uses her talent to better himself. It’s patently obvious that men have been using accusations of witchcraft to punish women who have rejected them – it’s even explicitly said, at one point. 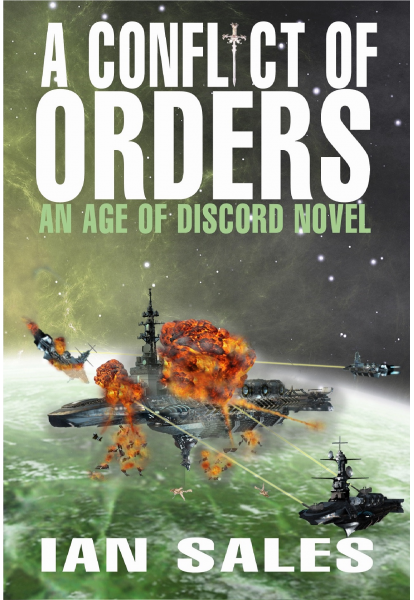 Of course, the young girl soon realises the power she has, especially the life that could be hers if she marries her protector, and so naturally she rebels. And, well, let’s just say the films does not have a happy ending. I thought this an excellent film. I’m not into film-making technique all that much, so the director’s inexperience, as outlined in other reviews, did not spoil my enjoyment. More interestingly, there were two shorts by Nyoni on the disc. The first, Mwansa the Great is a mildly amusing vignette set in a Zambian village, which shows a nice touch of the fantastic in realising the imagination of its child cast. Listen on the other hand, co-directed with Finnish/Iranian director Hamy Ramezan, is a much more powerful piece of work. An Arab woman in Denmark is being interviewed by two cops. She claims her husband will kill her if she is sent home. The cops do not understand Arabic, and the translator is wilfully playing down the woman’s situation. So they call in the son, who can speak Danish. He lies and tells the cops everything is fine at home because, he tells his mother, “I can protect you now”. It’s frightening how the woman’s communications are corrupted by others, so much so that the Danish cops respond differently to a woman who is quite clearly a victim. The commentary in Listen is obviously no different to that in I am not a Witch, even if the situations and settings are very different. Nyoni is clearly a name to watch, with a definite message that needs to be told. 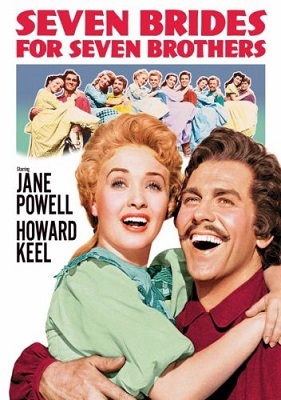 Seven Brides for Seven Brothers, Stanley Donen (1954, USA). I’m not a big fan of musicals, I think I’ve said that before. 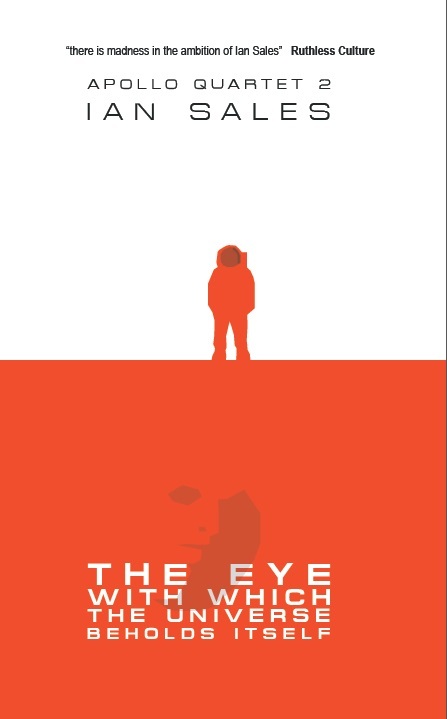 But I found this on Amazon Prime, so watching it wasn’t going to cost me anything, and it was a hot Sunday afternoon, and you know how it goes… I think the film also appears on one of the iterations of the 1001 Movies You Must See Before You Die, although not the one I’m using. A “backwoodsman”, Howard Keel, visits town looking for a wife. 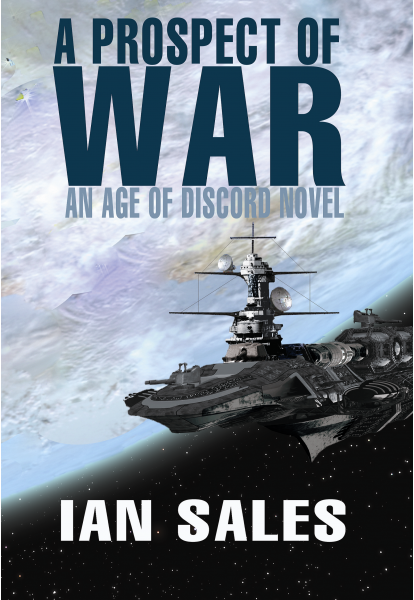 Jane Powell is sick of being treated like a drudge, so she accepts Keel’s offer despite only having met him an hour or two earlier. She goes home with him… and discovers he has six brothers. All of whom also want wives. So she basically knocks off their rough edges, teaches them how to treat women properly… and then they end up pretty much kidnapping six women to be their brides. Up until that last part, I was surprised to find myself enjoying Seven Brides for Brothers. Okay, so the songs aren’t exactly memorable, and a lot of the scenery is actually studio backdrops, but there’s plenty of humour, the dance-off at the barn-building is good, and the cast all play their parts well. It was a fun film. True, I expect to walk away from a musical remembering at least one of the tunes – if not with an earworm it takes me weeks to dislodge – but if I can remember one of the dance scenes then I suppose that’s a close second. Seven Brides for Seven Brothers will never be a favourite musical – and I’m slightly worried that such a concept should even occur to me – but I enjoyed watching it. 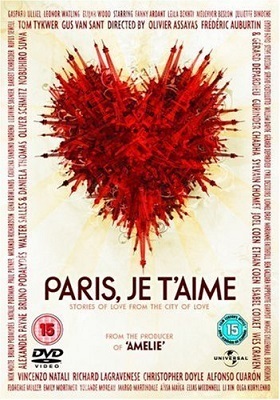 Paris, je t’aime, various (2006, France). This was lent me by David Tallerman. It’s an anthology film of eighteen short films by well-known directors, a mix of French and American, set in the city referenced in the title. And, well, there are too many Americans in it. The segments vary in length but all are shorter than ten minutes. I liked ‘Quais de Seine’ by Paul Mayeda Burges and Gurinder Chadha, in which a young Frenchman walks away from his sexist mates and becomes friends with a young Muslim woman; and ‘Place des fêtes’ by Oliver Schmitz, in which a Nigerian man is attacked by racists and connects with the immigrant paramedic who attends him. Most of the other segments didn’t seem to fit in with French cinema, such as Vincenzo Natali’s segment in which Elijah Wood meets a beautiful vampire, or the Coen brothers’ one where Steve Buscemi is beaten up by a young Frenchman. Of the segments which treated Paris as a destination for tourists, rather than a city with its own natives, probably the best was ‘Quartier Latin’ by Frédéric Auburtin and Gérard Depardieu, written by Gena Rowlands, starring Gena Rowlands and Ben Gazzara and Gérard Depardieu. Out of the eighteen segments, the hit rate was too low to call the film a success. Only a couple were actively bad, but the whole project just seemed to have too heavy a US hand on it and that spoiled it. There is apparently a complimentary film set in New York, which seems more fitting, and less interesting to me, and several more planned: in Rio de Janeiro, Shanghai and Jerusalem. If they are equally aimed at the US market, I dread to think how they’ll turn out. Paris, je t’aime is not a film that celebrates the culture of Paris, it’s a film that uses it as a location to present a handful of Parisian stereotypes. Sleuth*, Joseph L Mankiewicz (1972, UK). I was pretty sure I’d seen this many years ago, but then realised I was confusing with a spoof Sherlock film, whose title escapes me, in which Watson was the clever one and Holmes a bumbling idiot. But that’s an entirely different film, and almost certainly doesn’t belong on the 1001 Movies You Must See Before You Die list. Unlike Sleuth. Which having now seen, I suspect I may well have seen many years ago. But I’m not sure. Olivier plays a successful writer of traditional crime novels. Caine is his wife’s lover, a hairdresser. Olivier invites Caine to his mansion and explains his cunning plan. He approves of their relationship and wants to give them a head-start. So they will fake a robbery, Olivier will claim the insurance, and Caine and ex-wife can keep whatever a fence will give them for the stolen jewellery. But Olivier, of course, has something else in mind – and shoots Caine as an intruder. 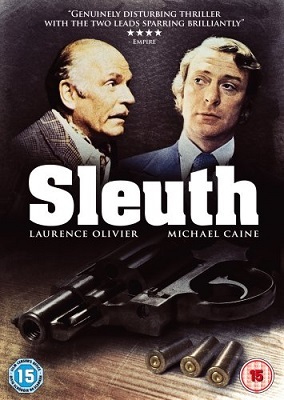 The following day, an inspector turns up to investigate Caine’s disappearance, but Olivier insists it was all a joke and he only scared Caine by firing blanks. And… anymore would constitute serious spoilers. This is a film that relies entirely on the quality of its cast, and while Olivier is on top form, Caine also rises to the occasion. It doesn’t feel like a play, despite the use of pretty much a single location – the film widens it out a little, opening the film in a maze in the grounds of Olivier’s mansion, and making good use of movement throughout the interior of the house. Having said that, what really stands out about this film is the cleverness of its script, which was a play by Anthony Shaffer, so it seems a bit of a cheat to stick it on the 1001 Movies You Must See Before You Die list. It’s an excellent film, but that’s because it’s a good adaptation of an excellent play. It feels like a cheat, like it’s being rewarded for being something it isn’t. 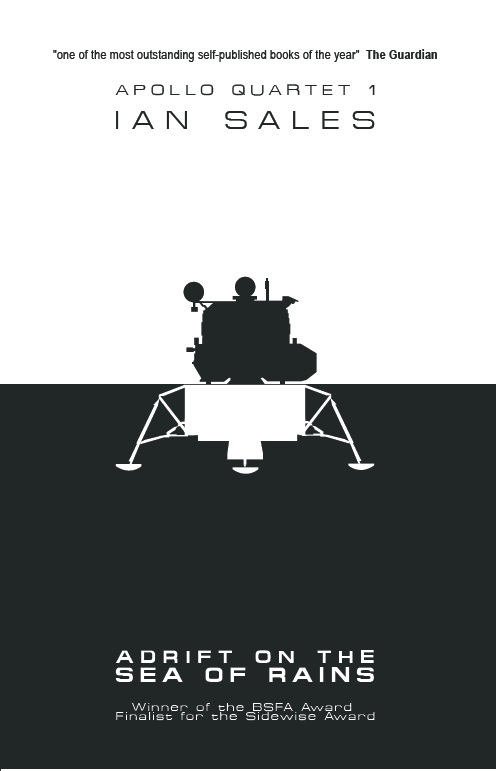 Worth seeing, definitely, but does it belong on the list? Categories: film review, films, moving pictures 2018 | Tags: david cronenberg, joseph l mankiewicz, rungano nyoni, stanley donen | Permalink.